Come join us for a fun night and learn more about our Sister Parish initiatives in Villa Sandino, Nicaragua! *All proceeds going to initiatives in the Villa Sandino, Nicaragua area such as Solar Panels, College Scholarships, Ag Projectcs, etc. 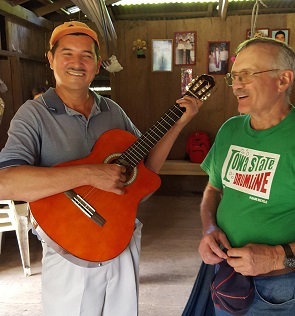 Working alongside our brothers and sisters in the San Pedro Apóstol Parish, these initiatives are helping grow our faith, establish our friendships and will help improve the lives of the residents in the Villa Sandino area. We look forward to seeing you at "My Nest"* on Friday the 10th of June!